Product prices and availability are accurate as of 2019-04-18 21:47:52 EDT and are subject to change. Any price and availability information displayed on http://www.amazon.com/ at the time of purchase will apply to the purchase of this product. Available now is the SmarterFresh Warm Water Bidet that includes a Stainless Steel Adjustable Pressure Bidet Sprayer Head, 86-Inch Stainless Steel Bidet Hose with PEX Inner Tube, Brass Bidet Hook Holder and Wall Mount Option, Brass Faucet Diverter with Aerator and Male Threaded Adapter. 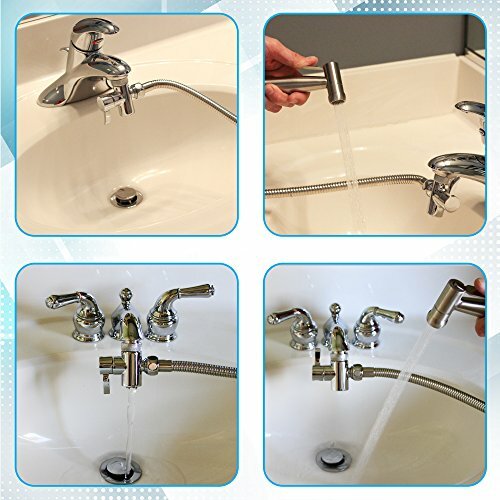 Made exclusively to connect your bathroom faucet sink to add the option of warm water to your bidet experience. This attachable bidet faucet sprayer is a low-cost way to achieve freshness without accessing your existing toilet water source to create a functional spray bidet. No plumber or handyman required. 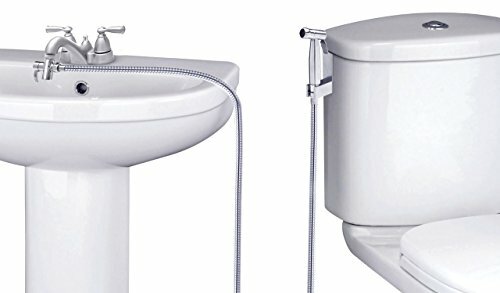 The warm water bidet set will not attach to a standard garden hose. 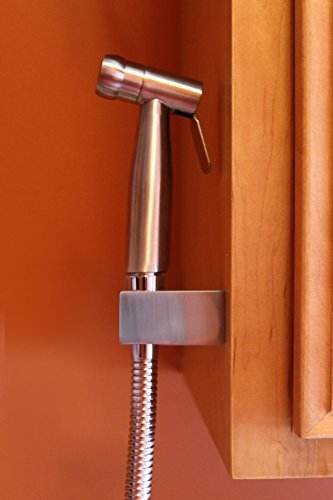 This faucet bidet sprayer comes with all the components you'll need for a complete 10 minute hot water bidet install. 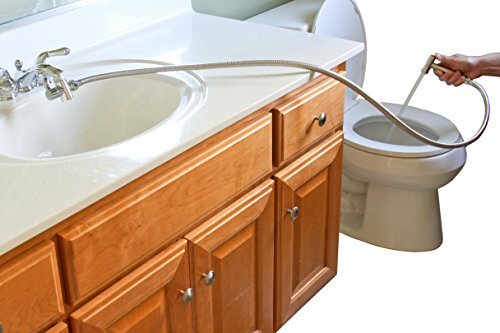 The diverter attaches to your sink where you can set the perfect water temperature and then divert that water to your toilet sprayer. The Warm Water Bidet Sprayer consists of an adjustable sprayer attachment for toilet that has a low gentle soft spray or high jet spray hot and cold bidet for varying purposes and personal tastes. Male Threaded Adapter Doesn't Fit? 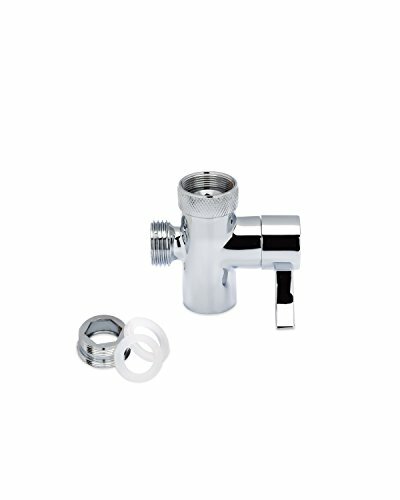 Take your faucet aerator & included adapter to a local hardware store. You'll be able to find out the thread size of you aerator on the thread size chart found in the faucet aerator parts department. There's a good chance you have a junior size faucet aerator (13/16" male threaded or 3/4" female threaded). Purchase the correct size male threaded adapter. You can usually determine this in advance by placing a dime over the aerator. If it's about the size of a dime, you have a junior size aerator (an aerator the size of a nickel would indicate standard size, which is included). 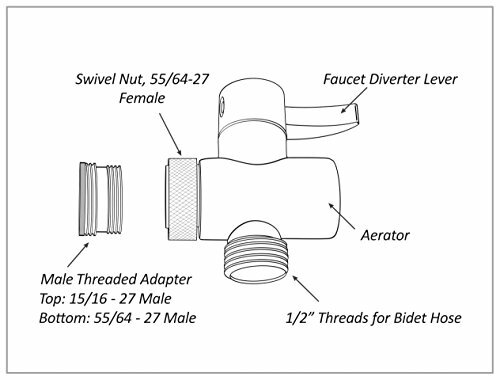 Our warm water bidet unit uses the most common aerator thread size -- the faucet diverter is 15/16-27 female. The male threaded adapter is 15/16-27 male (bottom) and 55/64-27 male (top). SmarterFresh Warm Water Bidet Offers Option of Both Hot & Cold Water for Rinsing & Cleaning Includes Premium Brass Faucet Diverter w/Aerator & Male Threaded Adapter to Connect to Any Sink Comes w/Stainless Steel Faucet Sprayer Head & 86" Bidet Hose w/EPDM Inner Tube, & Hook Holder Safe Way to Mix Hot & Cold Water and Divert to Faucet Sprayer for Hot and Cold Bidet Use Use as Bidet Faucet Attachment for Warm Water, Also Diaper Sprayer for Toilet Faucet. Not Meant for Garden Hoses.